Got chapped lips? If you don't have any chapstick, you can use a variety of household or kitchen items to alleviate dry, flaky lips. 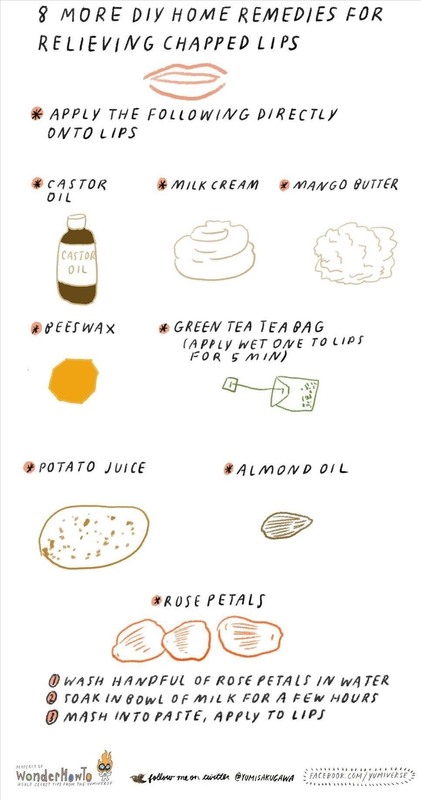 Simply apply castor oil, almond oil, mango butter, beeswax, or milk cream onto lips as needed. You can also soak rose petals in a bowl of milk for several hours and mash them into a paste before applying onto lips. For more DIY home remedies for chapped lips, check out my previous guide.